Right : A carte de visite, just under 6½ cm x 10½ cm (2½ x 4 "). These became so popular in the1860s that the craze for acquiring them - particularly those images of the rich and famous - or for having your own portrait produced, became known as cartomania. These small cards became increasingly affordable, and were capable of being reproduced, so several copies could be purchased and distributed to friends and family. 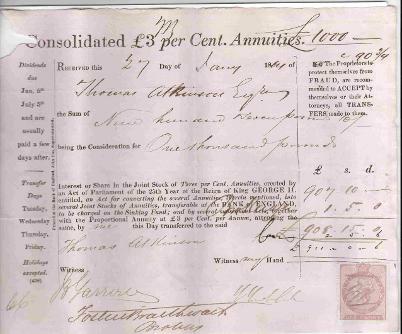 This bond was taken out by Thomas Atkinson (of Ashburton) in 1864, and paid 3 per cent on £1000. Then, as now, bonds could fluctuate in price - on this occasion Mr Atkinson has paid a total of £908 15s for a bond nominally costing £1000. 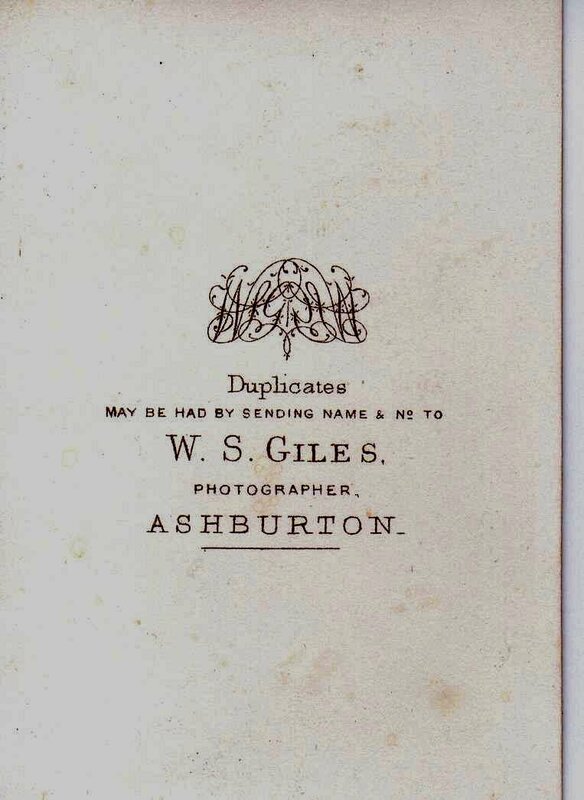 Both cards here (from my own collection) have the name W S Giles, photographer, Ashburton, written on the reverse. 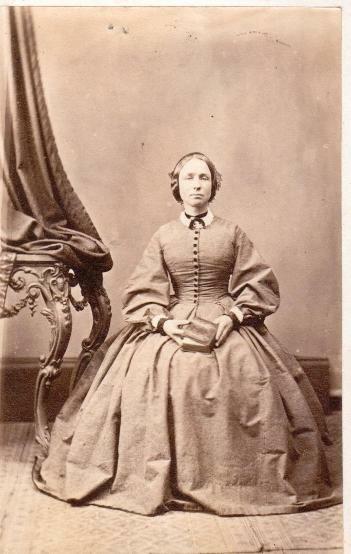 The ladies' full crinoline dresses suggest a date in the 1860s - which was when cartomania was at its height. In 1828 Joseph was the agent for the Phoenix Fire Office. 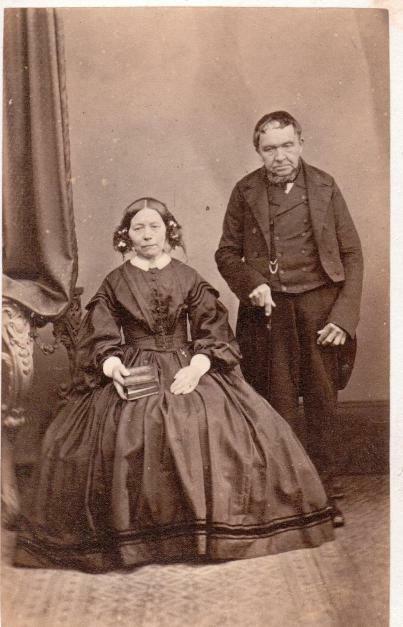 Joseph was at one time the registrar for Ashburton. (Peter Foot was deputy registrar). His own entry in the 1861 census shows him as a 72 year old widower. 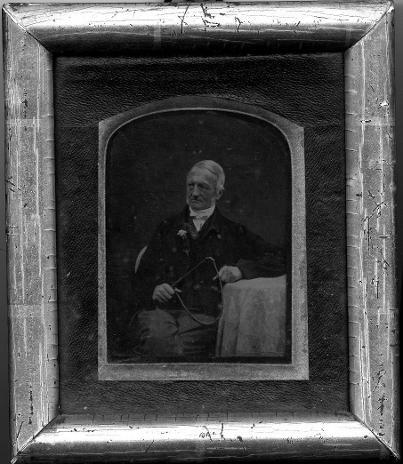 January 16th 1862, Mr Joseph Fitze, saddler and registrar for over 25 years, died aged 72.